Home > Blog > Is a motorhome trip in France a luxury or a budget break? Is a motorhome trip in France a luxury or a budget break? Try studying the wide range of reactions on people’s faces when you tell them you have just booked a holiday in France in a motorhome and you will understand why it is very difficult to classify where a motorhome trip sits in the holiday pecking order. Some immediately think camping and budget break but for others it will conjure up images of trickling along the Cote d’Azur, overlooking the sea and dining at whichever Michelin starred restaurant takes your fancy. That’s one of the truly great things about a motorhome trip, it genuinely can be all things to all people. For a family looking for a budget break with small children it provides accommodation, transport and self-catering all in one so once you have hired the motorhome, you can practically stick to the same budget you would at home whilst seeing or doing something new every day. Many campsites in France are inexpensive and provide a wonderful, safe environment for families, allowing parents to dine alfresco, unwind and truly relax whilst children play and explore. For those with a limitless budget it opens up a whole world of exciting opportunities to be spontaneous because your luxury accommodation goes with you wherever to go. Tour the vineyards and buy expensive wines in Burgundy, enjoy a balloon trip in Champagne, dine in a chateau restaurant every night, head for The Monaco Grand Prix or Ryder Cup. You don’t have to self-cater but you can if the mood takes you so you can tailor make your motorhome trip to spend it dong exactly what pleases you. If your holiday budget is somewhere in between very tight and limitless then plan accordingly and mix self-catering days and visits to the many free attractions with a few indulgent treat days. 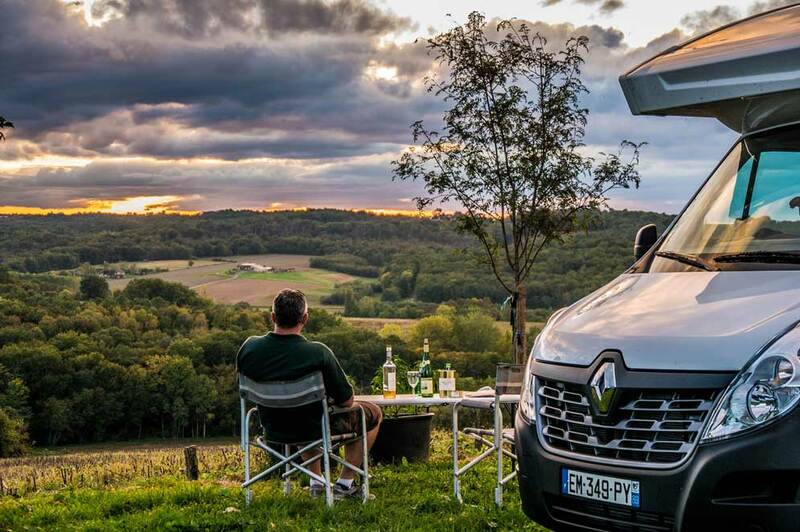 At France Motorhome Hire, we have two ranges of campervans and motorhomes so you can take your pick from our smart, modern standard range or our luxury prestige models with gorgeous finishes and extra features galore. With our pristine, nearly new fleet of vehicles (each of which are worth between €50,000 and €65,000!) a hire from us will inevitably add a touch of luxury to your trip but how you choose to fill your days will be what determines whether you are on a budget break or a luxury spree. Set your budget now and plan your holiday accordingly. Motorhomes are truly for everyone and exploring France in one will give you an almost endless choice of ways to spend each day from truly thrifty to excessive and extravagant. ← Should you look at reviews to help you decide where to hire a motorhome in France?